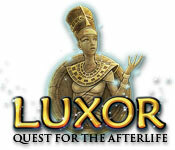 Luxor: Quest for the Afterlife is rated 4.5 out of 5 by 15. Rated 5 out of 5 by ElNirmalSitaldin from Help Queen Nefertiti Reunite With Her Beloved! In Luxor: Quest for the Afterlife you need to retrieve Queen Nefertiti's artifacts to set her baa and ka free so that she can reunite with her beloved in the afterlife! Defeat the thieves that stole them and help her! Get awesome power-ups by creating chains to help you through the levels! The fun and excitement is also there in this installment, the music and graphic quality are splendid and the story is broader than the previous games or the franchise. 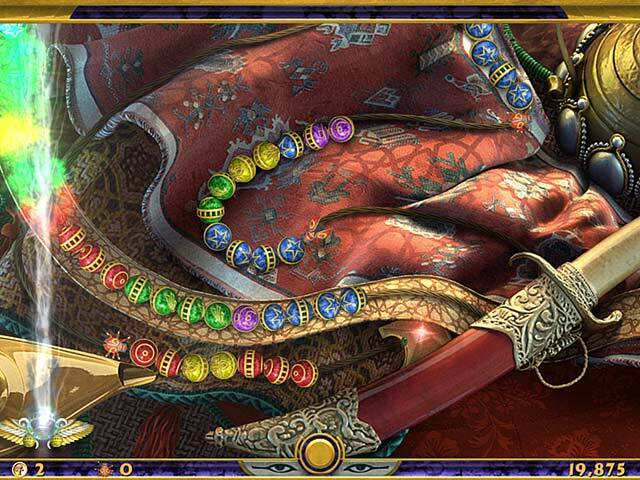 Rated 5 out of 5 by ZoiaMikk from Luxor: Quest for the Afterlife I don't usually like marble popper games, but I really like the graphics of this one. Rated 5 out of 5 by mookmiles99 from Fun Marble Popper Game! All of the Luxor games are fun. Rated 5 out of 5 by Vendetta2012 from Lovers of all things Egyptian... I love the whole series & this will not disappoint. Very colorful,love the storyline,the music etc... Don't find much use with the store but save your coins for the real mcoy later on down the road.All in all i love this game. Rated 5 out of 5 by Oedesh from Luxor 4!!!!!!!!!!!!!! Loved the whole game!!!!!!!! The graphics the levels the cities the treasures EVERYTHING!!!!!!!!!!!!!!!!!!!!!!!!!!!!!!!!!! Buy it i think its the best marble popper game!!!! ( thats my result)!!! Rated 4 out of 5 by mrm2006 from Fun Game for Being a Shooter I always open my Luxor reviews with the following: I have played shooter games before, I am quite good at them, I just don't like them. However, the Luxor series is the best shooter game I've come across thus far. Storyline: And there is one which I LOVE about any M3 game. Nefertiti's husband's (Akhuneaten) burying place has been invaded. Artifacts have been stole and broken into pieces. Because they were found broken, it cannot be the work of mere mortals. Nefertiti needs her eternal Akh. Only then may she resurrect her beloved husband (Akten). Until the jars and put back to together and the artifacts found, she will not be able to return to her eternal soul. She will be forever bound to Earth. You job is to find the artifacts, travel city to city and have endless battles on her behalf. As a reward, she will bestow upon you great powers. So, of you go. Graphics: Pretty good as far as Ancient Egypt goes. The desert is fairly monochromatic, the icons for the Cities slightly above the color of the desert. The balls bright enough that you can see all the colors. Sound: Music was fine - didn't need to tune it out. Sound effects were constantly going on. 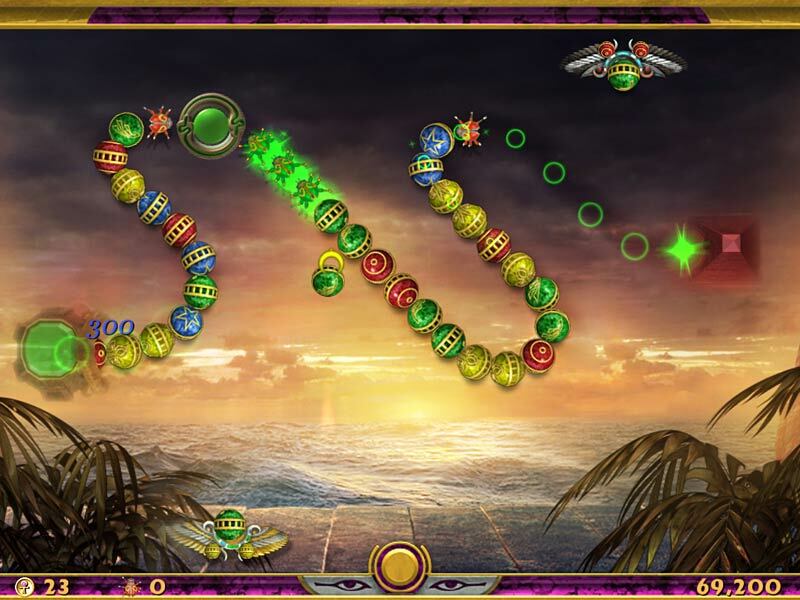 Gameplay: As in any shooter game and Luxor series game, premise of the game is to shoot your colored ball (at the bottom of the screen) into a string of multi-colored balls and try to match a string of 3 or more of the same color. The more colored balls you destroy, the better the riches that rain down upon you. I don't much pay attention to the jewels, etc. but I DO always make sure I catch the runes - because that is where all the power is. For instance, reverse, slow, stop, remove colors, lightning shot, and more and more and more. Bonus Levels: Tons upon tons upon tons of them. Every 3 levels you play, you will have a bonus level to play. It may be as simple as put the broken artifacts' pieces back together to as long as a flowing river of colored balls is all that separates you from the level on shore that you need to dispose of. Sounds easy? Not so much. Because that 5 level deep of multi-colored balls keep coming and coming and coming and coming. And it NEVER stops but your need is to concentrate on the string of balls on the opposite shore and dispose of those. And they don't disappear until the last colored ball is gone. THAT string of balls just goes back and forth and back and forth, while you are trying to get a good, clean shot through multiple layers of strings. You may be lucky and do it in a few shots or you may be not so lucky and have this level take upwards of 15 minutes or more. There were other bonus levels, some I enjoyed, some not so much, And, then, there's the "BOSS" level. I totally did not understand what was going on but kept shooting and shooting and shooting and eventually Nefertiti told me I had won. Had no clue how. Cons (mine): Not getting a clearer explanation of how to certain levels. Some I could figure out - at least one I could not. The map confused me. As the game play progressed you could enter any city behind you (that you had passed all the levels of) and, I thought, the next City. But. apparently, different roads would unlock so you could go in either of at least 2 directions - hmmm, would have been nice to know and --- why? What is the benefit or detriment to going one way vs. the other. Nefertiti's instructions - and you got a lot of them. Spoken, with no reading to follow along. Could be why I didn't understand some of the gameplay. I truly loved playing this game and it's only because of the above CONS that I could not in good conscience give it 5 stars. I especially loved that the storyline just didn't die out when the game started - with every level that you passed (or was it at the 3 level mark?) the storyline continued, recited to you by Nefertiti herself. This Glam-ma says this is almost the best Luxor game of the series that there is. I am playing through them all - I think I have found MY 5 star BEST game but this isn't it. I still have a few Luxor games to go through yet - and may find one that knocks my current fav off the top of the pyramid (HAH - Egypt - pyramid - I slay me - lol). In any case, Glam-ma says please do try this game. It's fun and has a great story going on. All you have to lose is an hour. But, you may gain a new genre of game you never thought you'd like or a better shooter game than one you already own. If this review was helpful, please take a moment to click on the "yes" button below. If not, sigh, there is a "no" button too. But, seriously, would you give your Glam-ma a no? LOL. Happy Gaming! 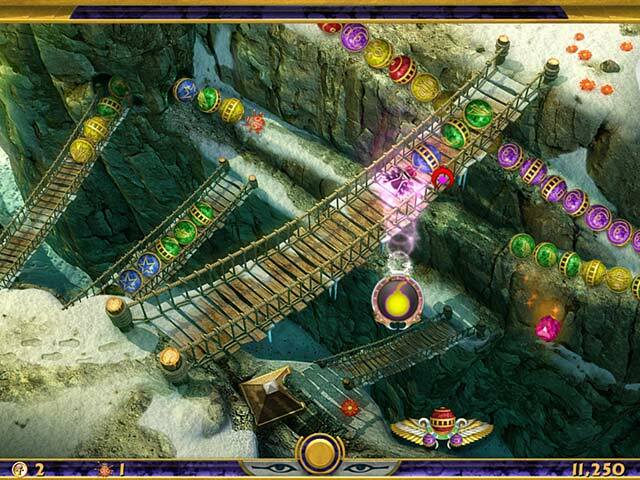 Venture out of Egypt to track down the stolen artifacts of Queen Nefertiti in this epic Marble Popper game!